I can't believe this is the 4th season of Boy's Can Wear Pink! 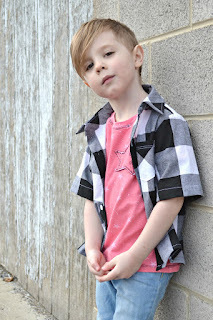 Pink has always been one of Jude's favorite colors and his wardrobe has quite a bit of pink and florals in it. 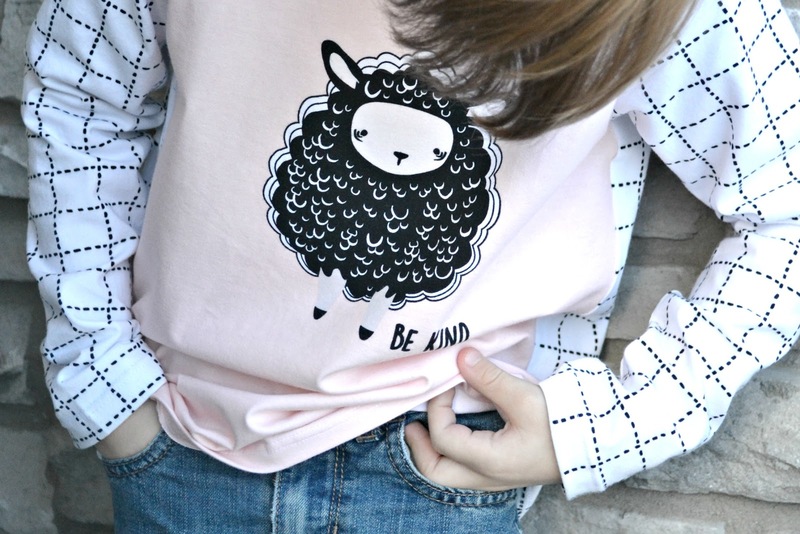 When my friend sent me this 4 panel pack from Art Gallery's Nest line, I wasn't surprised that Jude demanded a shirt from this light pink sheep panel. 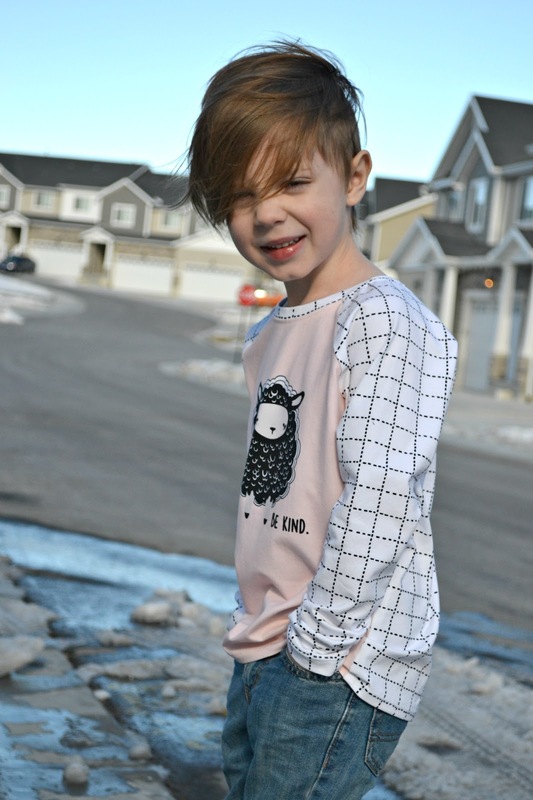 Maybe it's the fact that he has 3 older sisters, but Jude has always loved a wide variety of prints and designs. These are two prints that will be making it in Jude's summer wardrobe. 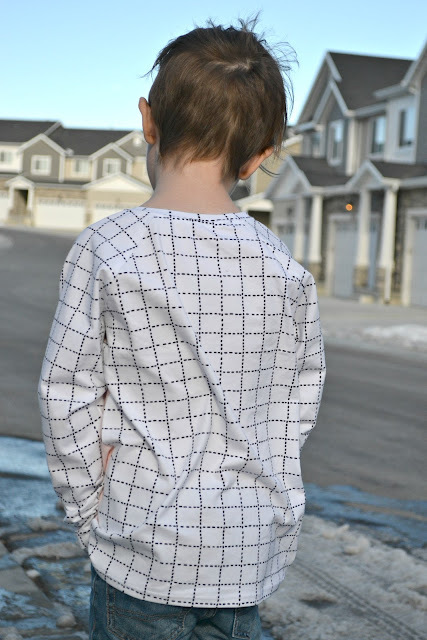 Maybe it's the fact that Jude has 3 older sisters, but he is far more open to prints and designs then I think most boys are. 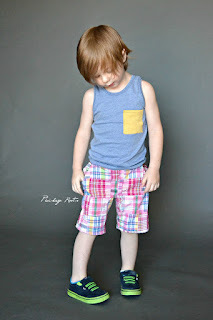 I know my oldest son, Gavin, for sure is WAY more picky about what clothes he wears and not much makes his list. Although, pink has been in his wardrobe quite a bit through the years. I used Titchy Threads Safari Raglan shirt and paired the panel with some Euro white & black graph knit. I also love that this panel has "be kind" on it. It's not really something you would find in the boys section at the store. Usually more "strong" messages are given to our boys. I want to thank Kelly for having me on her tour this last 4 years and that I hope it keeps going! 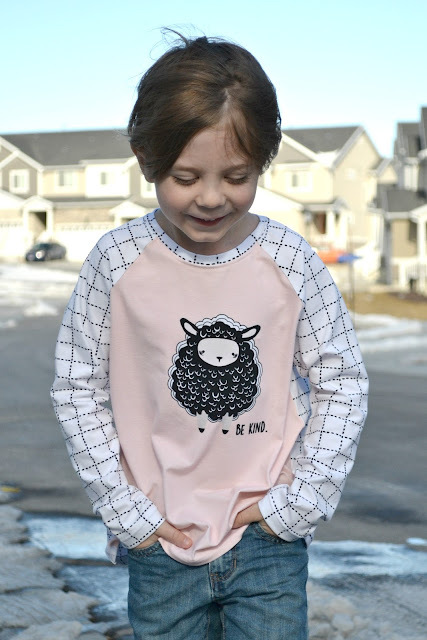 It's one of our absolute favorites! 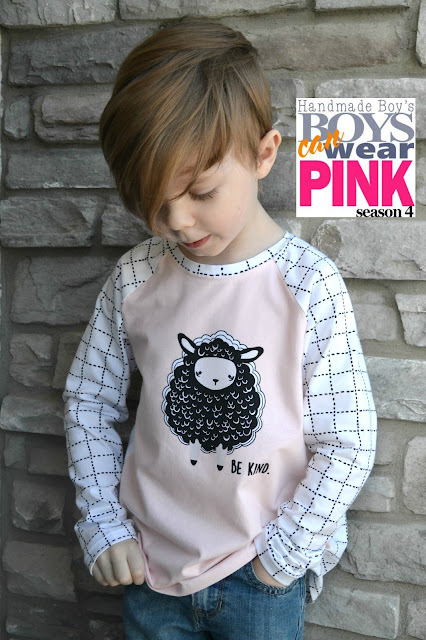 Make sure to check out all the other ways boys are wearing pink!